Minister Debbie Simmonds often referred to as a “Spirit Filled Leader” or “Energizer Bunny” continues to be led by prayer and the Holy Spirit. Steady Faith, an endless love for God, and a great sense of hope are the driving forces that keeps her moving forward in Christ. Minister Debbie has life stories, lots of them and they must be told so that others can get free and know they are never alone. Minister Debbie Simmonds hails from the community of East Preston, Nova Scotia where she grew up and currently lives. She comes from a family of thirteen. She is the tenth child and youngest daughter of the late Reginald and Lillian (Maxwell) Ross. She has been married to Hank Simmonds for over 30 years and they have three grown children Amos, Ross and Jessica and a grandson, Kyro. In 1983, a mysterious illness landed her in hospital where, after a visit by a female Deacon, Debbie prayed the sinner’s prayer, accepting the Lord Jesus Christ into her heart. With time the mysterious illness miraculously resolved and she was discharged from hospital full of Spiritual zest. Minister Debbie made a promise to her Savior that she would serve Him with all she has because of the sacrifice He made on the cross for her. Minister Debbie has been in active service to the Lord ever since her baptism in Oct, 1983. She served her home church in various capacities, not limited to a Bible study student, a Sunday School teacher, the Church Clerk, the Sunday School Superintendent, a Finance Board Member, and a member of the Mass Choir. Her dedicated service did not go unnoticed. She was called to serve as Deacon and was later ordained in Feb, 2011. 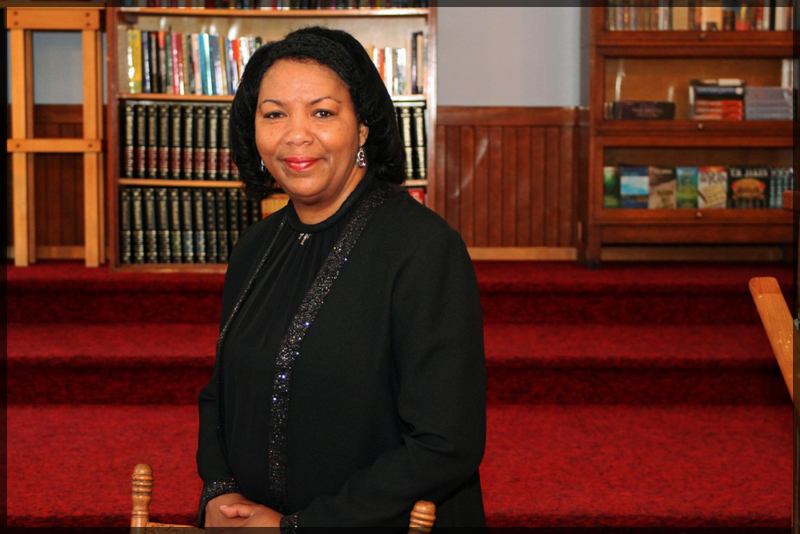 In 2013 Minister Debbie answered the call to ministry, entering into the first “Minister- in- training program” at the East Preston United Baptist Church. She was under the guide and mentorship of her Pastor, Reverend LeQuita Porter. After completing the two-year time frame, Minister Debbie received a license to preach from her home church. A year later she also received a license from the African United Baptist Association. Minister Debbie currently holds a Diploma in Food Service Technology. She is a Clinical Dietetic Technician and has worked at the now Nova Scotia Health Authority since 1977. She enjoys working with an Acute care, Palliative Care and Mental Health population. She takes special care in her work and has empathy and respect, going above and beyond her duties if necessary, ensuring their needs are met. She also served on several committees within the institution such as the Diversity Committee, etc. Minister Debbie has volunteered her time as a NSGEU union activist since 1990 serving as a Shop Stewart in the work place. She has served on the NSGEU Human Rights Committee and have attended several workshops and education sessions. Minister Debbie is currently a member of the executive team of EPUBC, an Oversight Director, Multi Media Chair and a member of the Building Committee. Minister Debbie is also the founding member and chair of the Drama Ministry and assistant chair of the Intercessory Prayer team and Assistant Moderator. Minister Debbie is currently enrolled at Acadia Divinity College in Biblical studies. When asked how school is going, she replies. It is going good and I am excited. It is good when you are learning about someone you love and most of all someone who loves you. Minister Debbie loves and trusts the Lord with all her heart and knows that she can do all things thru Christ who strengthens her. Philippians 4:13. God has proven this to her time after time.